Fears of a “risky mortgage bubble” are growing as the number of people with super-sized home loans has accelerated sharply, putting tens of thousands of borrowers at risk if interest rates rise. Up to 140,000 people took out a home loan of more than 4.5 times their income over the past year, an increase of 15 per cent on the previous 12 months, analysis of Bank of England lending figures shows. The proportion of borrowers with these high-risk loans is now double the level before the financial crisis struck. Househunters who overextend themselves to buy properties at the peak of the market are storing up trouble, experts warn. Jeremy Willmont, of Moore Stephens, the accountancy firm, said: “Borrowers might be becoming too comfortable with low interest rates. Some are stretched even with rates at their current record low, so an increase of just half a percentage point would represent a significant relative jump in mortgage repayments. No one under the age of 28 has experienced an increase in the cost of borrowing in their adult life but last month three of the eight members of the Bank’s monetary policy committee voted to raise the base rate from its low of 0.25 per cent. The Bank of England defines mortgages of more than 4.5 times salary as “risky”. In 2014, it introduced a cap of 15 per cent on the proportion of home loans that lenders can make above this income multiple. It said at the time that highly indebted households were more vulnerable. “In an economic downturn, there was a greater risk that such borrowers might need to cut spending sharply, making recessions deeper,” it added. This week Alex Brazier, the Bank’s director of financial stability, said that a sharp rise in personal loans could be a danger to the economy and that lenders were at risk of entering “a spiral of complacency” about mounting debt. “Lending standards can go from responsible to reckless very quickly,” he said. The Bank’s figures show that almost one in ten home loans are at or above 4.5 times salary compared with one in 15 in 2007. Another one in six mortgage customers borrow just below this “risk threshold”. Almost one in 100 borrow more than five times their salary. 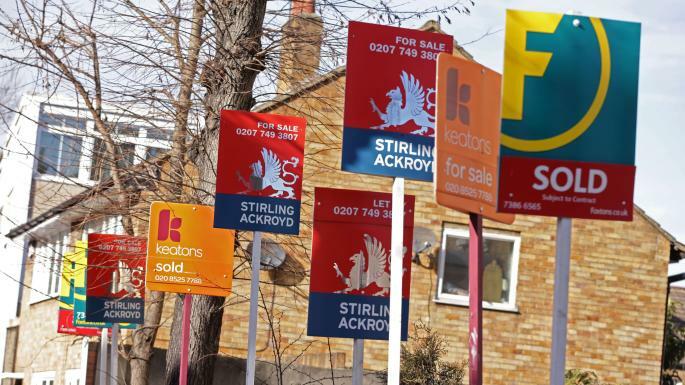 Bank officials say that income multiples have grown mainly because of house price growth. The figures also show an increase in lending to borrowers with small deposits. The number of loans worth more than 90 per cent of a property’s value has jumped by 35 per cent to almost a quarter of a million in the past year. However, this remains significantly below the 2007 level. This week Virgin Money said that house prices in London and other cities may start falling, raising the prospect of negative equity for many borrowers. Alarm bells should be ringing”, the debt charity Step Change said at the start of this year after receiving a record 600,000 calls for help in 2016 (Tom Knowles writes). The figures on consumer debt show this is not hyperbole. Households have been on a borrowing binge and are saving less than at any time in the past 50 years. The growth in credit card use, personal loans and car purchase schemes is rising at the fastest pace in more than a decade. As The Times reveals, the proportion of people taking out a home loan over 4.5 times their income has risen 15 per cent over the past year. The Bank of England is worried, especially by the growing dependence on credit cards and personal loans. In principle, debt is good for the economy. More debt means more spending — and more growth in the economy. With interest rates so low, consumers can binge on cheap money. The rate on a £10,000 loan has fallen from 10 per cent in 2009 to 4 per cent today. Nearly 90 per cent of new cars are sold using finance deals and experts believe a downturn could result in thousands of drivers unable to keep up payments. Mortgage holders are also in danger of becoming too comfortable with low interest rates, perhaps forgetting what even a half a percentage point rise could do to repayments. The ingredients for a credit boom-bust look to be in place.